debating as we did at school and seminary?" At the end of the day a middle-aged priest welcomes a guest into his home. A glass of wine is offered. The two men sit and a conversation slowly begins. The unseen visitor is young, confident, enigmatic; his host is nervous, unable to settle, his attention returning again and again to the Virgin and Crucifix which watch over him. For years the priest has devoted his life to God and fought daily against the temptations of the flesh. Now, fearing for his immortal soul, he confronts the man - or angel or demon - who haunts him. Tonight the conflict must come to its end. First produced in London in 2012 and revived twice in 2013, Angel is a rare depiction of conflict between desire and faith and the spiritual agony that celibacy imposes. It is also unusual in the current obsession with paedophilia in that it portrays a priest who is not attracted to children. 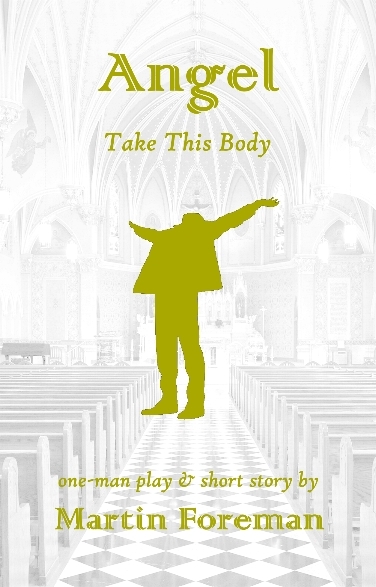 Includes the text of the play, the short story on which it was based and an introduction with the background to the character of the priest. "four stars . . . strong performance of a well-written script tackling hefty issues"